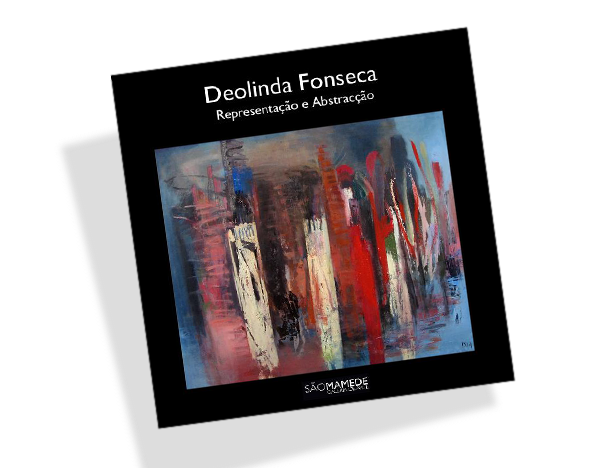 UPDATE 2014: NEW EXPANDED BOOK - in connection with Deolinda Fonseca's fourth solo exhibition in São Mamede Galeria de Arte, titled IN THE REALM OF APPARITIONS, the gallery has published an expanded version of their 2010 collection of Fonsecas paintings through three decades; now including works from the current exhibit in Lisbon, page count totals 182. The book "DEOLINDA FONSECA - Representação e Abstração" can be ordered and previewed in its entirety at Blurb online bookstore 2014: Deolinda Fonseca & Lars Brok's newest collaboration, the animation experimental NEW SPECIES is shown as part of the Open Call programme at FOKUS 2014 - VIDEO ART FESTIVAL in NIKOLAJ KUNSTHAL in Copenhagen, through February untill March 2, 2014. 2013: Deolinda Fonseca receives attention from The Washington Post's highly acclaimed journalist Glenn Kessler, known as "The Fact Checker". Normally into big politics, holding politicians from both sides of the political spectrum to their words - in the September 27. edition Glenn Kessler describes, how his wife and he used the internet to collect original design pieces and materials to rebuild and expand their beautiful 1960's home - in the process customizing their entire bedroom around a large painting by Deolinda Fonseca. 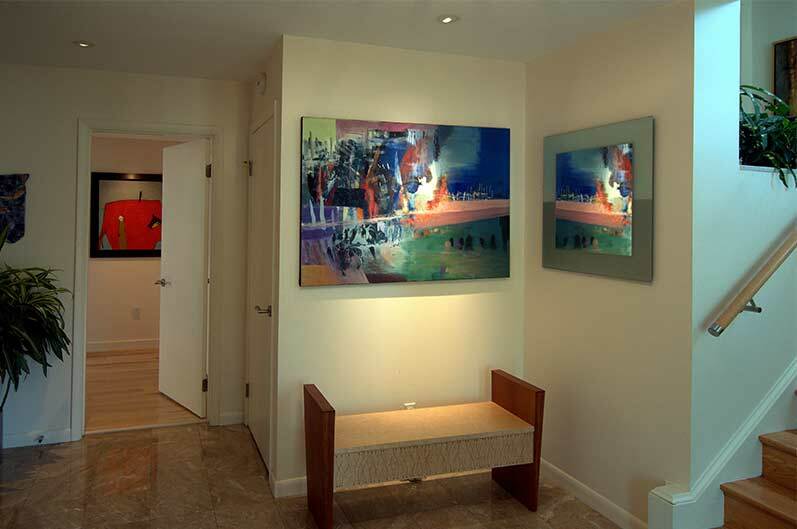 Likewise another painting is optically expanded by interaction with a hallway mirror (ill. above). Maybe something to consider, when it's time to remodel home or offices? Instead of buying a painting to fit the new sofa, maybe the painting could be chosen first/simultaneously, skipping the often artificial separation of concepts of "art", "design" and "decoration". 2012: Avedoere Church ordered two paintings, for the chapel, and for the congregational council room. 2012: Long term rental: works by Deolinda Fonseca accompany guests and visitors at Radisson Blu Scandinavia Hotel in Islands Brygge, Copenhagen. 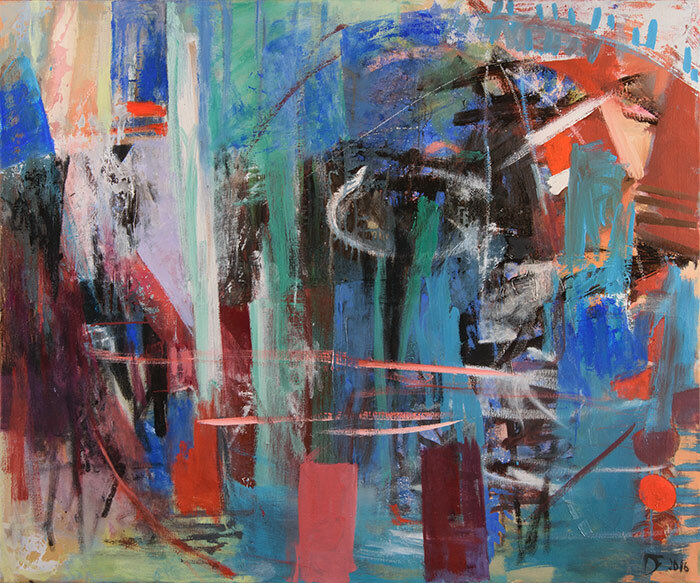 LANDSCAPES OF THE MIND - Representation and AbstractionPublished by São Mamede Galeria de Arte. 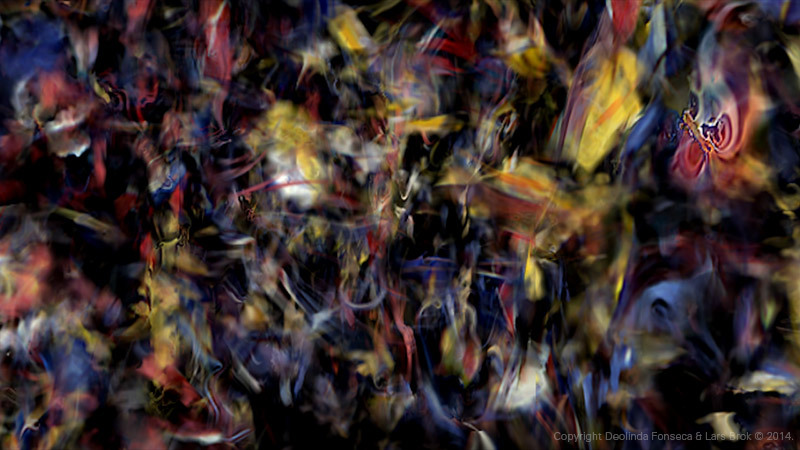 Copyright © 2014 Deolinda Fonseca. All Rights reserved.